And so....it is the end of another year. It doesn't really seem all that possible that a whole year has gone by, but I think I say that most years and time still keeps rolling along. The end of the year means not only looking forward to the new year but also looking back to the year that has just gone, so today I will look back to the books that I loved so much this year that I gave them a rare grading of 5/5. Over the next few days I will take a look at my reading stats and then look forward to my reading resolutions for 2013. Last year, Jojo Moyes appeared on my best of list with her book Last Letter from Your Lover. 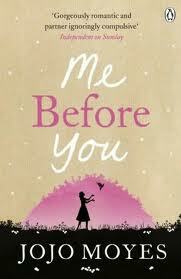 This year, I have read two more of her books and while I really liked The Girl You Left Behind, it is Me Before You that I really, really loved! I love that this is the kind of book that you literally laugh and cry at. It deals with a big issue but does it with so much heart and dignity. Highly recommend this book. You can read the discussion I had with Bree from All the Books I Can Read about Me before You. The first half is here and then I have the second half of the conversation here. I have long heard how fabulous this book was, and finally this year I got to read it. To be honest, I wasn't expecting to love it anywhere near as much as I did because I am a bit Tudored out and it is a huge book but once I started it I was surprised at how fresh it felt to be reading it even though I know Queen Elizabeth I's story pretty well. I have a lot of books that I rated at 4.5/5, far too many to list so overall it was a pretty good year reading wise! Les Miserables by Victor Hugo, Joy for Beginners by Erica Bauermeister, The Firebird by Susanna Kearsley and listening to Addition by Toni Jordan. I'm excited, I've got both your favourites on my TBR stack. Hope to get to them early in 2013 and after reading your comments about Me Before You it's going to the top of my list! I bet my library wishes I'd stop reading everyone's Best of lists! I always find a few new-to-me titles to request. Here's my list: Best of 2012. I've heard good things about Legacy, too. Must add it to my list! I still haven't read Me Before You - no idea why! Moyes is a very talented author. Wishing you a great new year Marg! This is the second blog I've seen 'Me Before You' reviewed and praised. I definitely have to add this to my TBR pile! Those both sound really good, Marg! 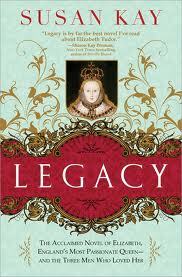 I hope to read more historical fiction this coming year. I will keep those in mind. Happy New Year! I'm glad you had a good reading year Marg- I hope 2013 is better!